With Thanksgiving rapidly approaching for our fellow neighbours to the south and with all the winter holiday parties heading our way, I thought some hostess gift suggestions might come in handy! The Trendsetter – stand out from the crowd with this beautiful Kone Box, handmade in Spain by Paleolo Chic. Inspired by the Indian spice markets, this natural cotton box is perfect for keeping bread warm and will no doubt be a conversation piece at their next dinner party! The Classic – there is nothing wrong with going with a traditional bottle of wine. It’s a great way to introduce your hosts to new wineries and regions. Wolf Blass has been a go to of mine for many many years. In fact, their Yellow Label was the first red that I really took to when I started drinking red wine. They have several labels including a Red Label, Black Label, Green Label (which no longer seems to be available) and Gold Label – all delicious with their own unique characteristics. I noticed they have an Eagle Hawk line that I hadn't heard of. If anyone has tried it, I would love to hear your feedback. The Memorable – a gorgeous walnut cheese board would add a unique touch to your hostess’ next bash. Butternut Brooklyn has some of the most stunning boards out there, I swoon every time! The Pampering – offer your busy hostess a little pampering with these beautiful handmade soaps made using the original cold press technique. Plus their packaging is just stunning! Lots more options available in Vice and Velvet’s shop. 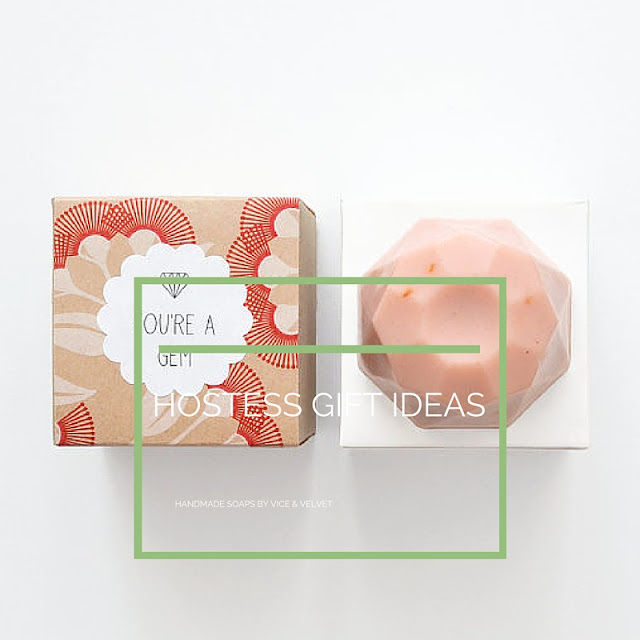 I would love to know what gifts you love giving to your host and hostess!